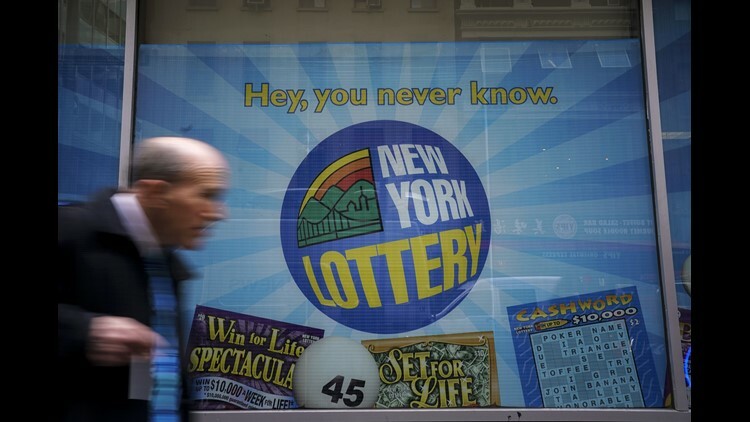 People walk past the New York Lottery Customer Service Center in Lower Manhattan, October 23, 2018 in New York City. The $1.6 billion Mega Millions prize to be drawn Tuesday night is set to be the largest lottery prize in U.S. history. Tuesday night’s Mega Millions lottery has climbed to $1.6 billion – the highest ever in U.S. lottery history. There is other important news out there today that we will get to — Sandra Day O’Connor’s announcement, Hurricane Willa and the migrant caravan, our exclusive interview with President Trump and the World Series — but first we want to dream big. What would you do it you win the $1.6 billion prize? Ticket sales have taken off as the jackpot has grown, with extended lines reported and nearly 33,000 tickets per minute getting purchased at one point in Florida. Huge lottery prizes bring out the dreamers in regular folks all across the country. And considering that about three-quarters of the possible number combinations will have been sold when the drawing is conducted at 11 p.m. ET Tuesday, a winner or group of winners likely will emerge this time. The first woman to serve on the Supreme Court retired in 2006 to care for her husband, who had advanced Alzheimer's. Now Sandra Day O'Connor says she probably also has the disease and is stepping out of public life because of it. O'Connor, 88 — appointed by President Ronald Reagan in 1981— was a key swing vote, often bridging the gap between the court's conservative and liberal justices. Her husband died in 2009. Last month, we reported that the CDC expects cases of Alzheimer's disease and dementia to double by 2060. "I have the same feeling that I had in 2016"
In regards to the upcoming midterm elections, President Donald Trump said: "I think we’re going to do well." In a wide-ranging interview conducted on a plane as he was traveling to Houston for a rally to support Texas Sen. Ted Cruz, the president touched on immigration, the economy and his thoughts on how Saudi Arabia has handled the death of journalist Jamal Khashoggi. All those issues could play into the midterms, but none may carry as much political weight as how voters feel about the president himself. 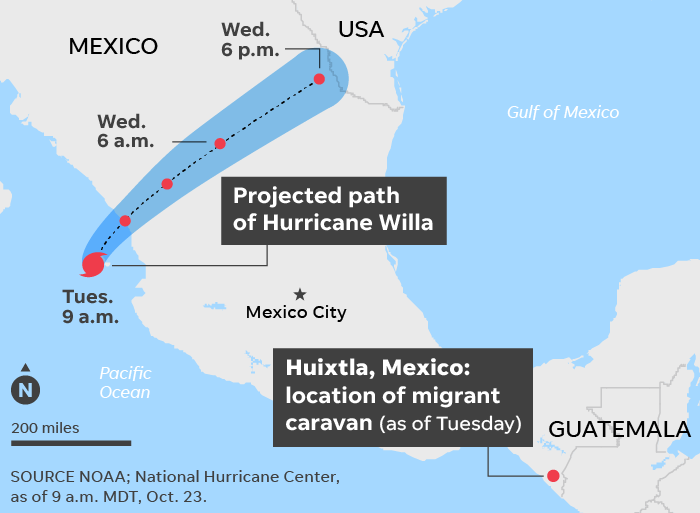 Can Hurricane Willa affect the migrant caravan marching through Mexico? That's a good question. Hurricane Willa's powerful winds eased slightly Tuesday as it hurtled toward the west coast of Mexico, still a strong Category 3 storm. But forecasters say it's unlikely to have a major impact on a caravan of migrants. AccuWeather meteorologist Steve Travis said the 7,000-strong caravan was likely too far east in Mexico to feel direct effects of Willa. As for the migrants: The controversial caravan is still making its way toward the Mexico-U.S. border. Here, migrants explain why they joined the caravan. Cody Jackson destroyed his girlfriends' phones. He controlled their Facebook accounts. He demanded they only talk when he said so and look where he wanted. If they didn't follow his rules, he became violent. The second chapter in the Cincinnati Enquirer's four-part series on Cody Jackson, reveals how Jackson used fear to keep women he dated in check. Ready for some baseball? We are. Two of Major League Baseball’s powerhouses are ready to duke it out at Game 1 of the World Series tonight at Fenway Park in Boston (live, 8:09 p.m ET, Fox). The Red Sox, who won a franchise-record 108 games in the regular season and beat Houston in the ALCS, host the Los Angeles Dodgers, who survived a thrilling seven-game series against the Milwaukee Brewers in the National League Championship Series. The Short List is a compilation of stories from across the USA TODAY Network. It was brought to you by editors Ashley Shaffer, Mary Bowerman, Cara Richardson and David Carrig.